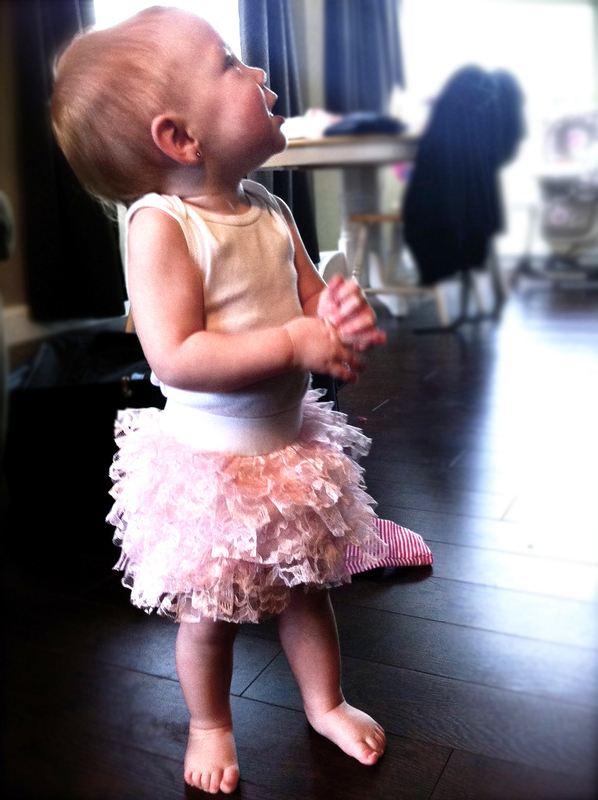 Lately I've been seeing a lot of tiered ruffled skirts around and love them. 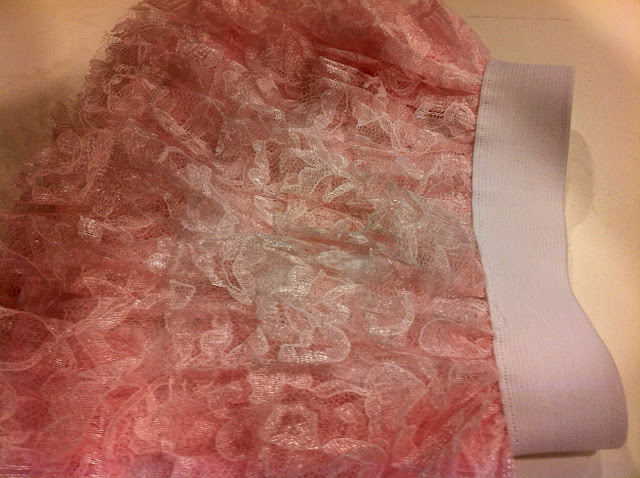 I had extra pink lace fabric sitting around so I decided to make a skirt using it. (I love being able to use fabrics I have on hand. With this skirt you can make any size you want. My skirt has a 16" waist size. 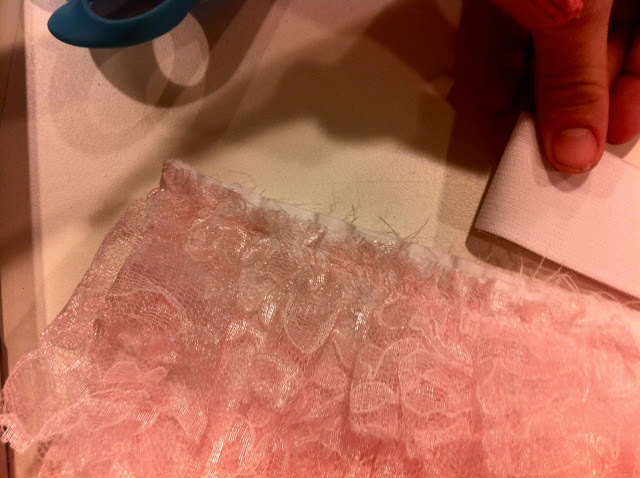 First: Cut 5, 2 1/2"x the width of the fabric out of your lace. Then put a gathering stitch through each one. For the base of the skirt I cut 2, 10"x13" rectangle. 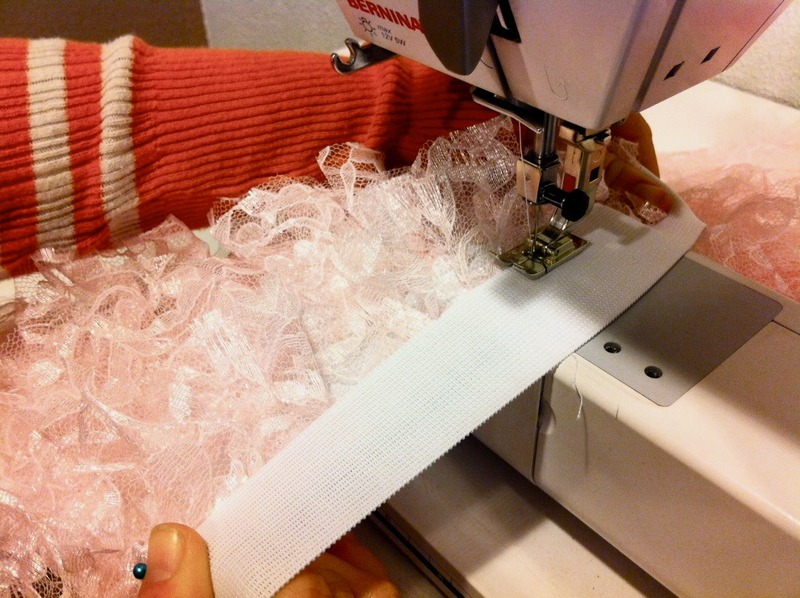 Depending on the size you are making you can cut your fabric longer and wider. Basically your width should be about 10" bigger than your waist size and you length should be about 1 1/2" bigger than your finished length. Seam one side of your base piece together. Open out your base fabric so it is laying flat. 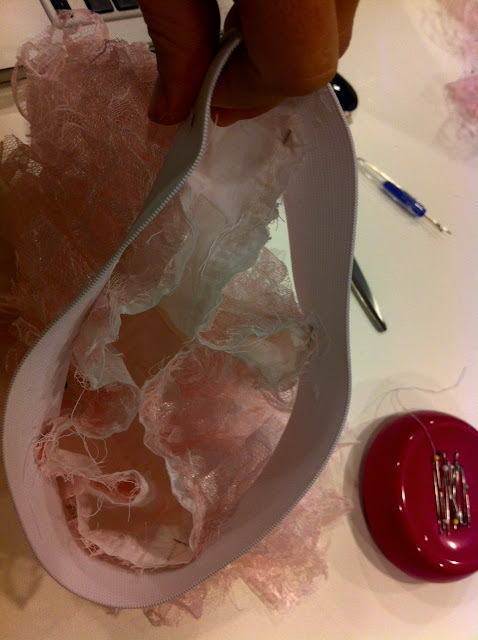 Now begin adding your ruffles to the base. For your first ruffle match up your raw edges. 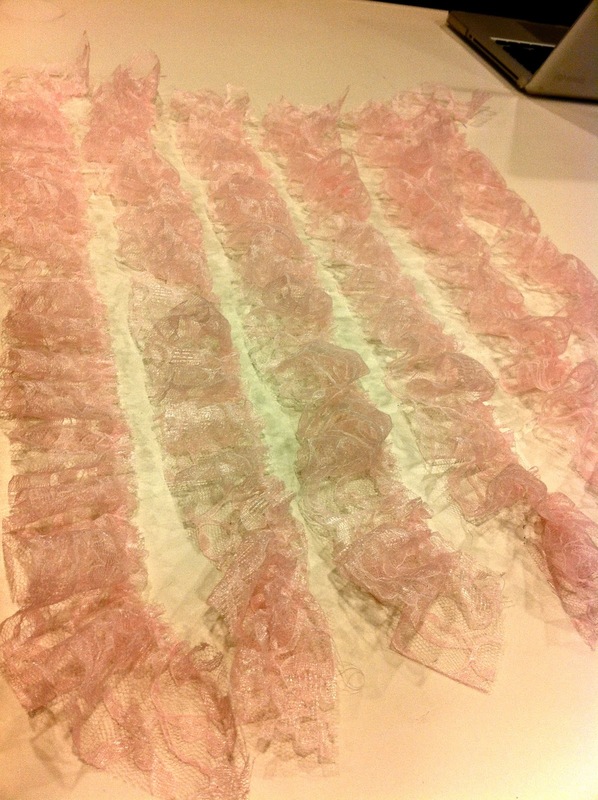 For the next ruffle and so on I started them about 1/2 way under the ruffle above. Now all your ruffles should be added. Cut a piece of 1 1/2" wide elastic to the waist size you want. Mine is 16". Pin one end of your elastic to one end of your skirt. 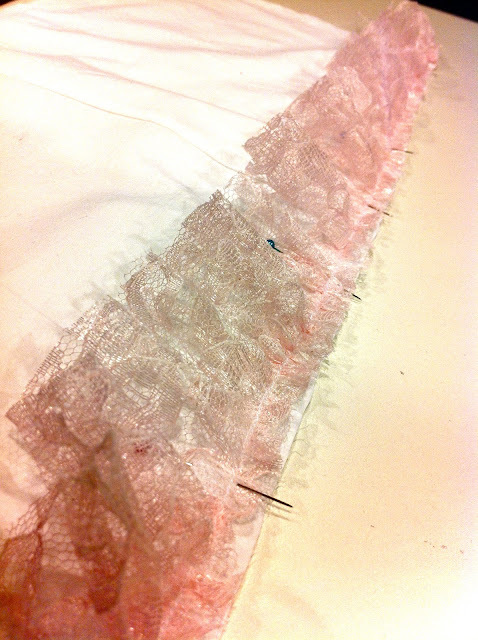 Now find the center of your elastic and the center of your skirt and pin those in place together. Your elastic should sit a 1/2" down from the top of the skirt. Your elastic will be smaller than your skirt so don't worry. Now begin sewing your elastic to your skirt. 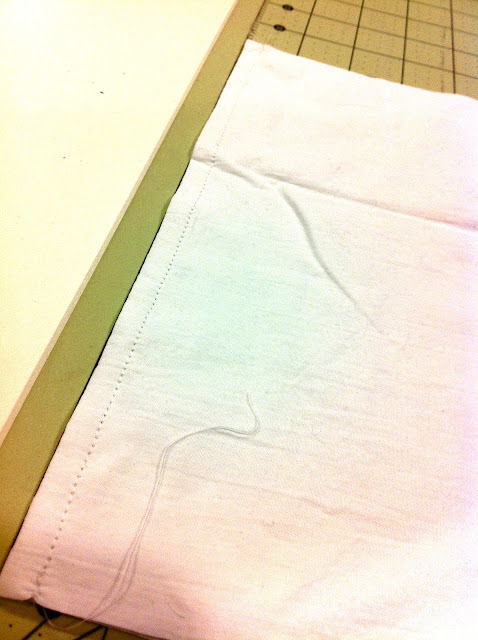 You have to stretch the elastic as you sew so it stretches out to the size of the skirt. When you are finished sewing your elastic, put your whole skirt right sides together and sew through all the layers using a 1/4" seam allowance. Now hem the bottom of your base fabric. That's all there is to it! If you have any questions please let me know! That is absolutely adorable! I need to make one for my niece as soon as she is old enough (she's expected to arrive this May). I just love it!